If you’re a first year student – we’re keen to hear about your experience so far at UC. 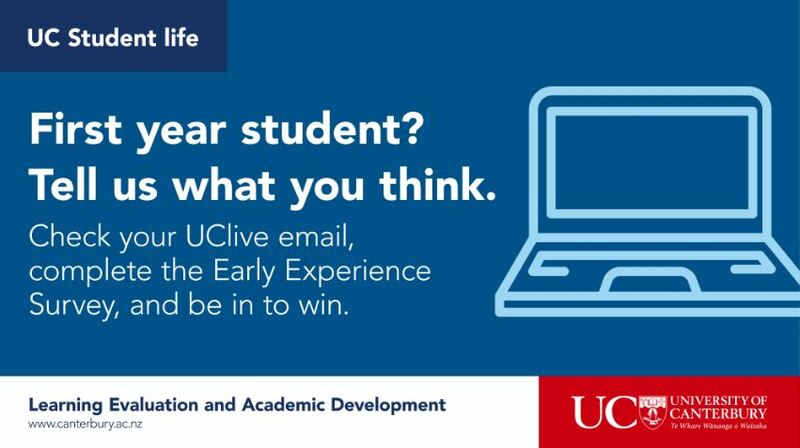 Check your UClive email address for the Early Experience Survey. The survey asks a range of things about your early experience at UC – such as why you chose to come to UC, how your first few weeks have been and what you think of student life. skills training courses for research students. The survey should take around 15 minutes to complete. You have the option to save your responses and come back to it at a later time if you need to. If you participate in the survey, you will go in the draw to win one of three UE Wonderboom bluetooth wireless speakers.